From the wood of your dining room table and the endless plastic cartons that package your food to the tarmac that lines the roads you drive and walk down and the thousands of fibers that cloths your bodies, materials in all forms, shapes, and sizes make up our daily lives. They are something we intimately interact with every moment of every day yet we hardly think about many of the materials we come into contact with. 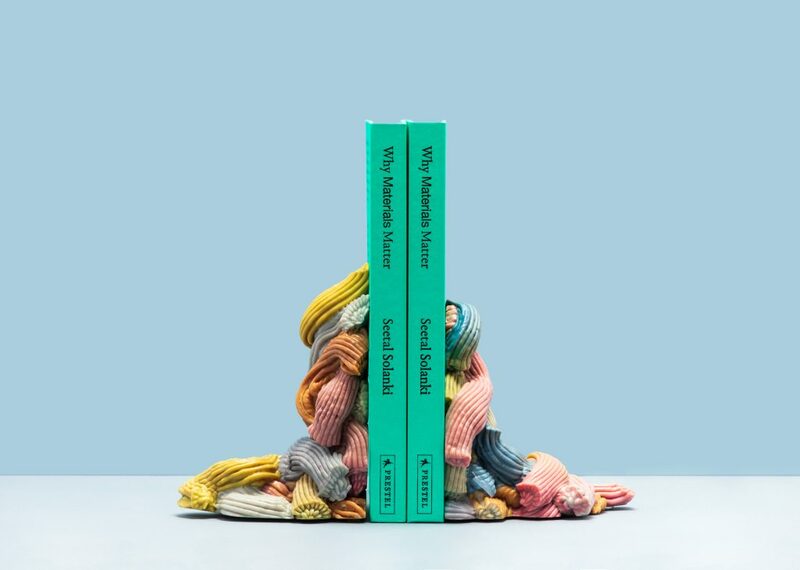 The newly published book Why Materials Matter dives into the world of materiality and asks urgent questions: What does it mean to live in a material world? How will materials affect the future? How do they impact the environment? 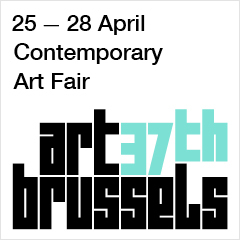 What social and political factors are embedded in materials? 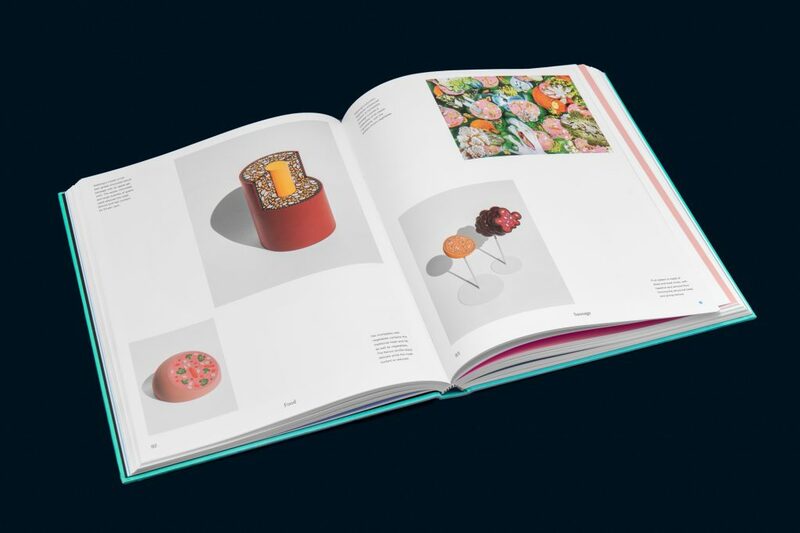 The book, created by the design research studio Ma-tt-er and published by Prestel Publishing, is a compendium of creative ideas, projects and technologies that change the way we think about materials in the 21st century. From lightweight steel that is being developed to revolutionize air travel, making it less fuel reliant to an investigation into ancient dying and gluing techniques as methods to improve these processes, the book presents an optimistic view of how materials can impact the world in a positive way. 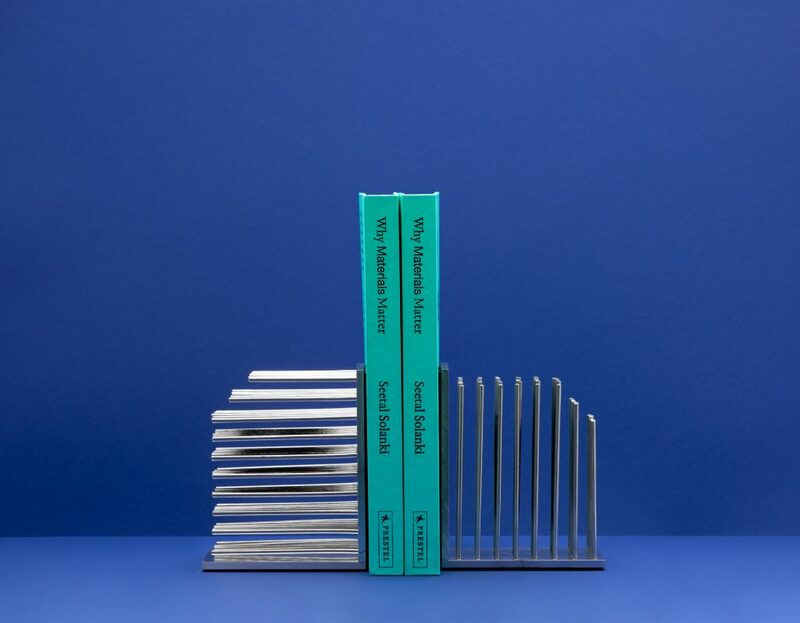 Why Materials Matter is being launched at London Design Festival in the Brompton Design District and is accompanied by a series of bookends which serve both as props to support the book but also as material samples of the projects inside it. 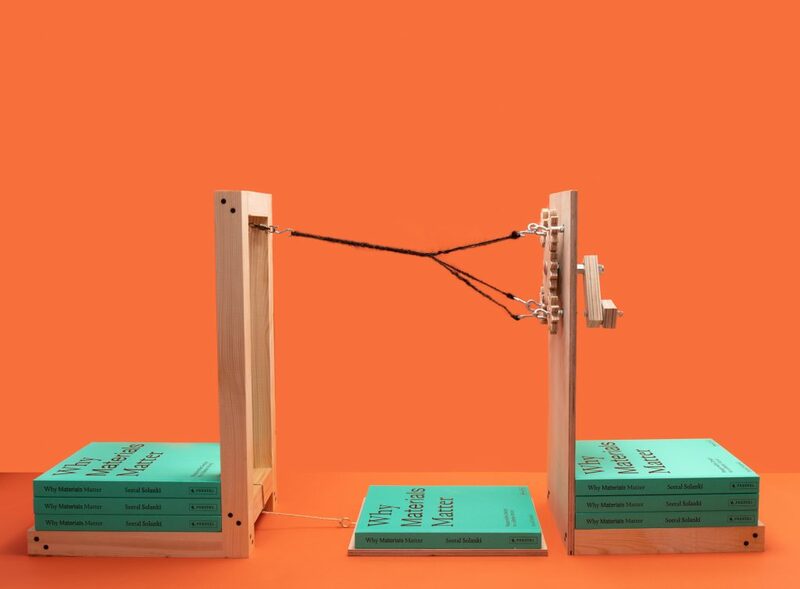 Designers and artists have translated their projects into bookends as you’ve never seen before. 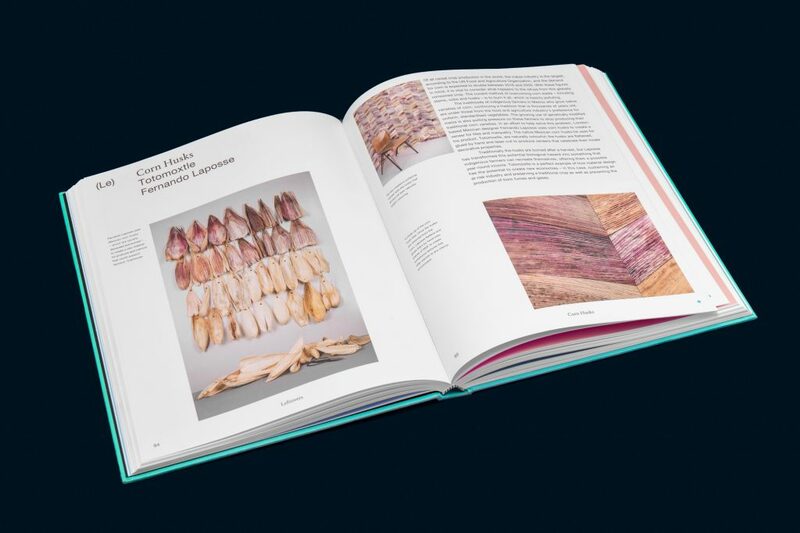 Bombastically wild colors, intriguing materials, textures that yell to be touched and a panoply of shapes hold up the turquoise book showing us why materials matter. Seetal Solanki: We design, advise, communicate and educate what materials are and what they can be, ultimately implementing a more responsible way of working with them across industry and education. 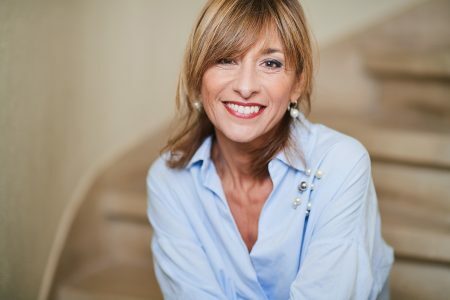 Was there a specific event or thing that inspired the book? I would say that the book has been a culmination of many years of working within a multitude of sectors/disciplines rather than something topical such as an event/article. I’ve worked for approximately 14 years within architecture, fashion, interiors, lighting, interaction design, food and many others and through this it was always the material that connected everything together as everything is made of something and that simply materials need to be more valued as they can create positive, social, economic, political and environmental change. 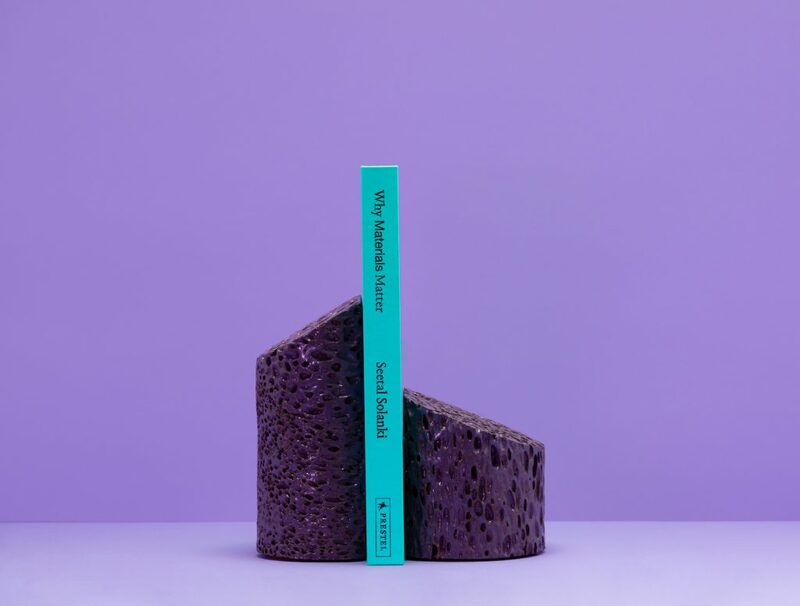 Apart from the clear connection between a book launch and bookends was there another reason for choosing the typology of a bookend for the show Why Materials Matter at LDF? if so what? Bookends can be seen as such a familiar object to most people and we wanted to create this familiarity but made with all of these, perhaps, unfamiliar materials. This opens up a dialogue which engages people so that they can be part of this change too. Besides I really wanted people to experience what these materials looked and felt like so that they were brought to life and come off the page into a physical form. What have been the surprises and challenges of the process of researching, writing and making the book? 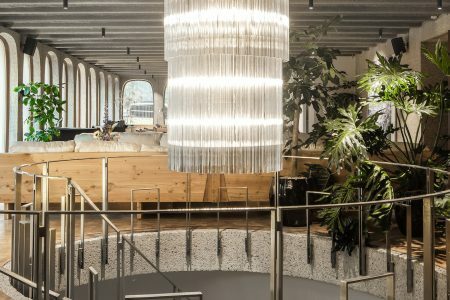 The most challenging part of the process was to find a structure that embraced the new material landscape that we’re living in at the moment and find a language that does materials justice. So the book has three sections Everyday which looks at the materials that we are more familiar with and how they can be utilized to their full potential, Sciences is a chapter which looks at materials that are using a more scientific approach to material development such as growing your own materials, Expansive is more abstract which looks at digital materials, air and water as materials. How did the creation of the book make you feel about the world’s future? Optimistic as materials have the potential to impact the world in such a positive way. 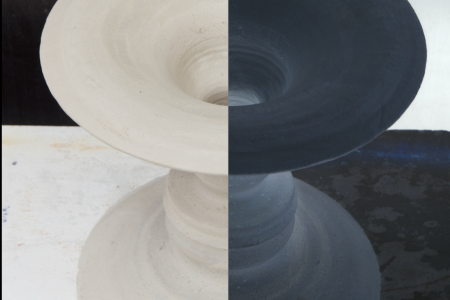 Why Materials Matter will be on display at the Brompton Design District (1st Floor, 3 Yeoman’s Row, London SW3 2AL) until September 23.